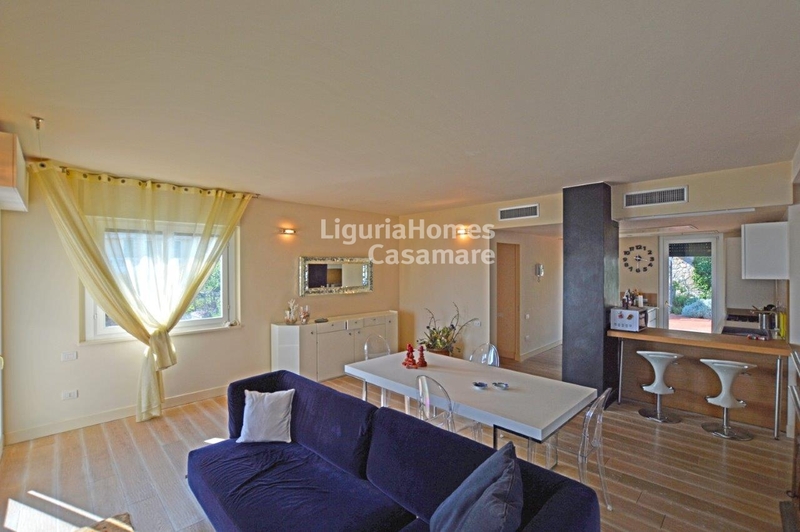 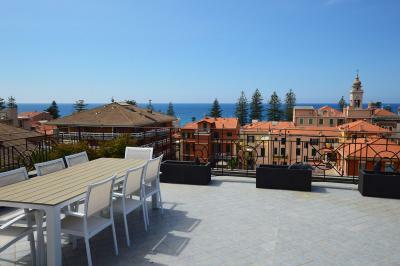 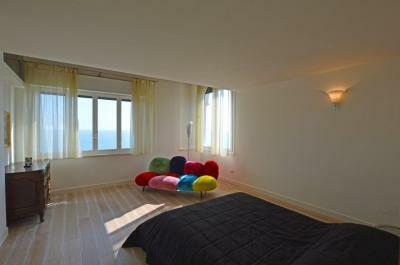 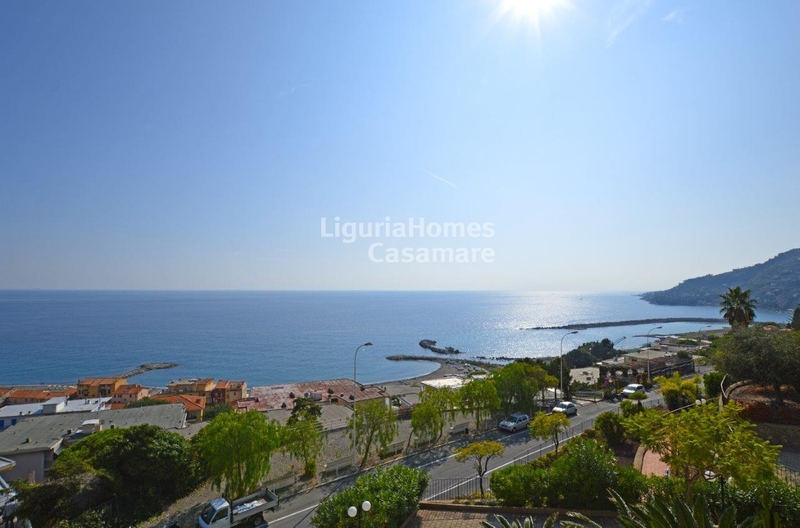 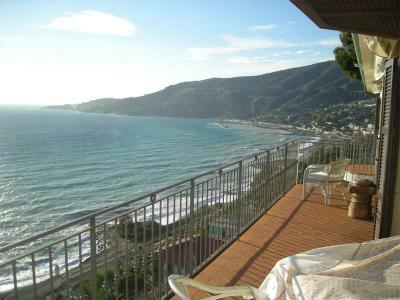 Ospedaletti, four bedroom Apartment for Sale with sea view. 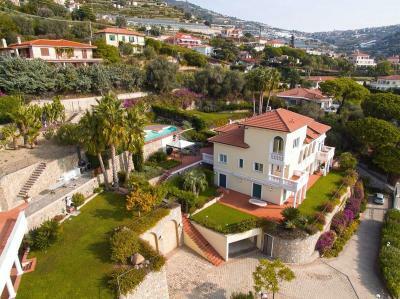 Just few steps from the town centre, this 4 bedroom Apartment for Sale in Ospedaletti with stunning sea view is located into a recently build Villa and ejoys a sunny private garden of approx 300 m2 with also a lovely swimming pool. 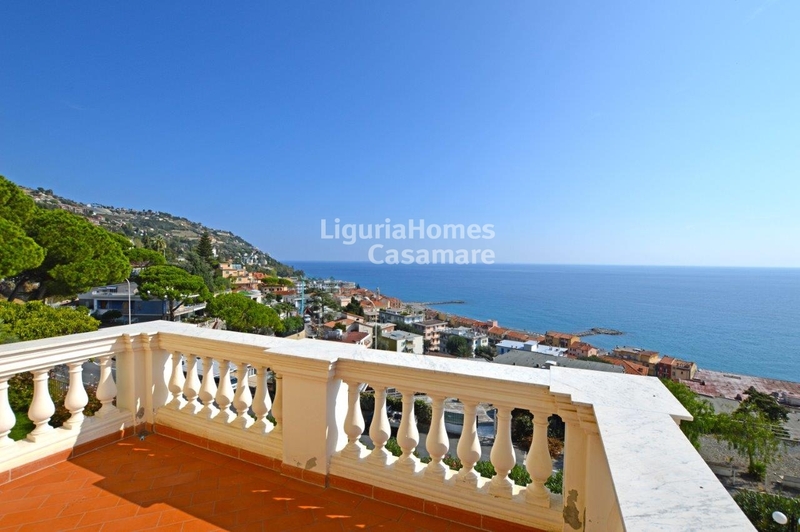 This elegant 4 bedroom Apartment for Sale in Ospedaletti is situated on the penthouse floor and contains also the tower, connected by an internal staircase. 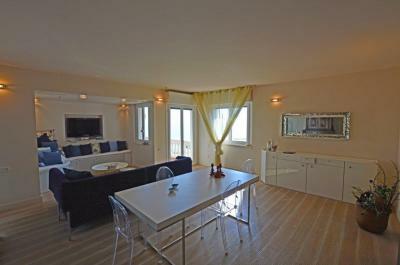 consists of: large living room with panoramic terrace, kitchen and bathroom. 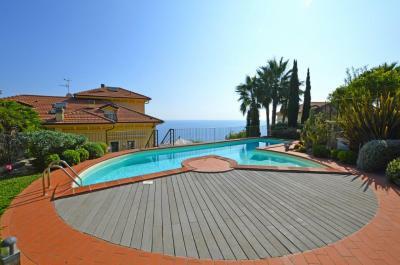 Upstairs, there is a fantastic master bedroom with a bathroom with a large Jacuzzi, 3 further bedrooms and 3 bathrooms. This property for Sale in Ospealetti is in excellent conditions and also includes a double garage, 2 car spaces and 2 cellars/storage rooms.